To meet the requirements of a certain class in their schools. The community service may be a part of a government citizenship requirement. To serve a court sentence in addition to or instead of other criminal sentences. What are Community Service Groups? 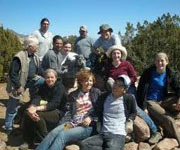 Community service work is work conducted by community service groups for the benefit of the public. Community service work often proves to be highly advantageous since it brings individuals from diverse backgrounds together and helps them to find a common link between them and this in turn promotes unity.The community service groups operate on this self-efficiency principle: the more we work together, the more we can achieve together. Community service groups promote interdependency, which is the awareness to feel connected and the feeling of being a part of something large. Community service work is fast becoming a chief component in today’s society that defines how people interact and relate to each other and more significantly, how individuals define and achieve meaning within their lives. Experts have argued that more important than the end product itself is the process of community service work, since a group of individuals from diverse backgrounds come to the realisation that they can only achieve their potential through cooperation with others. Group efforts of cleaning a beach of litter or cleaning up a park, civic activities that improve the natural beauty of our environment such as tree planting in urban areas, and the planting of flowers or removing graffiti to improve a community centre are few examples of positive community work. What is the Purpose of Community Service Groups? Young people gain access to a broad range of opportunities and support that they need to become responsible adults. Higher achievement in academics and other interests. Acquire planning skills, problem solving abilities and the ability to work as a team. Enhance civic engagement skills, attitudes and behaviours. Where Can I Find Community Service Groups? Hammersmith and Fulham Council, Town Hall, King Street, London. Surrey County Council, Conquest House, Wood Street, Kingston upon Thames. LGBT Advisory Group, New Scotland Yard, London. The most obvious advantage or benefit of community service groups is that they promote peace and unity in our society. Lack of a better understanding of people from different ethnic backgrounds hinders our own personal growth and prevents us from effectively interacting with other individuals in our environment who perhaps come from diverse cultural backgrounds. Community service groups help in avoiding a limited understanding of human diversity, which is dangerous since it can create a hostile environment that will quickly escalate to conflict and violence.